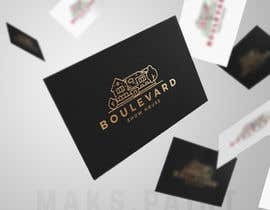 Seeking a stately and compelling logo for a Designer Show House. Design Show Houses are breathtaking homes in which every living space has been given a makeover by an interior designer, architect, builder and landscape professional. After the transformation of the home, the front doors are opened wide, and ticket holders are invited to tour rooms that have undergone designer transformations. Proceeds are dedicated to a worthy local charity. Win-win! This home is located in the prestigious neighborhood of Boulevard Oaks in Houston, Texas. 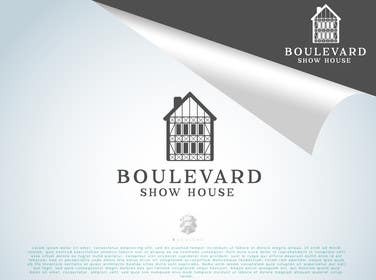 It is, in fact, called Boulevard Oaks Show House. Images of the existing facade of the home are attached. It is a Historic home that will receive a loving restoration over the next 8 months. All proceeds from the show home tour will benefit Preservation Houston.